Yoga Therapy & Gentle Yoga. Build inner resilience & gain support through the tools of Yoga & meditation. Yoga that helps restore, calm & support you so that you feel empowered & have a tool box of practices to turn to for ongoing health. My aim in my work is to help students build inner resilience & gain support through the tools of Yoga & meditation. My style of teaching is therapeutic and I provide my students with individual, personalised support to help manage injury, create mental & physical balance & see them leave feeling refreshed, empowered & relaxed. In a safe, non-judgemental space to help students come back to a place of wholeness and health. When I work with students privately through Yoga Therapy my aim is always to empower them with Yoga tools to aid specific injury or condition and to support overall mental and physical health. To create more space in the mind and body. I work one to one with each student to build an individual, personalised Yoga practice to suit their mental and physical needs. It’s designed just for them and fits into their lifestyle. Yoga Therapy is pain-free and used to treat both mental and physical conditions. Find out more about Yoga Therapy with me here or click the button below to book. The Yoga I teach is gentle and calming in nature. I teach from a place of non-judgement and encourage my students to adopt this too! My classes are designed to bring more flexibility & mobility to the physical body while helping to remove unwanted physical tension and relaxing the mind. I design them to help students create space, balance and de-stress. All of my classes & workshops are designed to aid you with stress reduction, to calm you body and mind and to get your body moving in a gentle way. To support you with your health goals & help you bring your body and mind back into balance. You will feel relaxed and rejuvenated after the class or workshop. More on my Yoga classes here or click the button below to book. I received a doTERRA AromaTouch massage from kate earlier this week, it was simply amazing! Can’t wait to go back from more! Having chronic back pain for nearly two years, and working a stressful job that I drove 3 hours for each day, I was not listening to my body and kept following a vicious cycle of pushing aside the pain with strong pain medication. Kate’s yoga therapy has helped me to listen to my body, stopping the pain, and manage my stress. I learnt so much in our sessions, I definitely took away information that I will use for life. 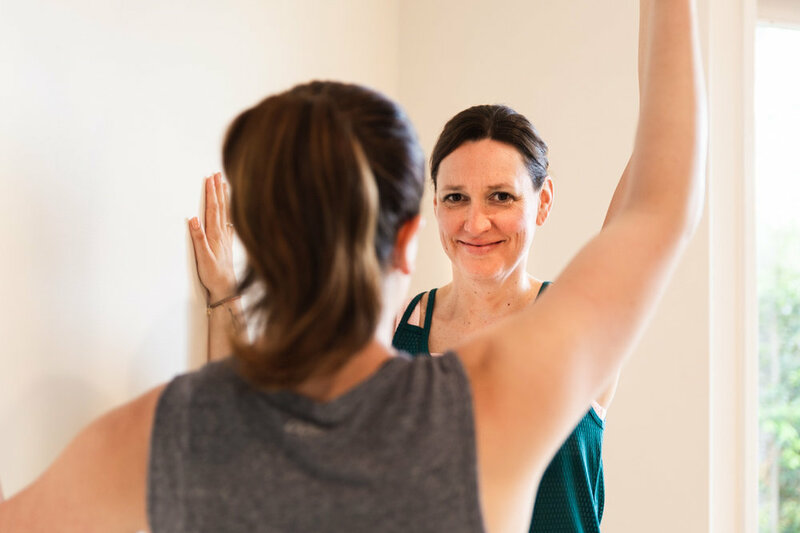 Kate is a gentle teacher, who helps you to learn your limits and provide movements and breathing exercises that will help nourish your body, depending on your individual needs. I highly value yoga therapy and will be continuing this practice as it can easily fit into my every day. Thank you Kate! I enjoyed my yoga therapy sessions with Kate very much. Kate had a clever and instinctive ability to get to the heart of my issues and then went on to develop a thoughtful, simple and very helpful practice for me to do in my own time, without pressure to do so if I was not able. She also did a lot of research on my behalf and as a bonus made me my own personal yoga nidra practice (relaxation). Working with Kate has had a very positive impact on my life. She is easy to be with and kind and discreet and I would recommend her sessions.